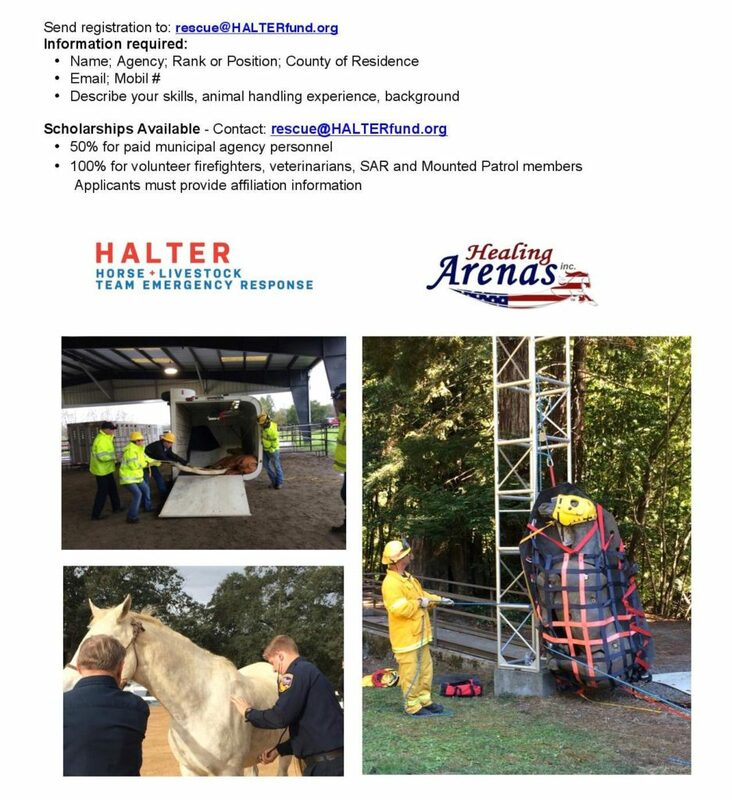 Large Animal Rescue Tactical Training Feb 7-8, 2017 – Healing Arenas, Inc.
Healing Arenas is excited to host a Tactical Training (formal FSTEP) for our local first responder personnel (San Joaquin and Stanislaus County, Modesto and Escalon Fire Departments, Veterinarians and Techs, Animal Control, Sheriff’s Mounted Unit, law enforcement and EMS). 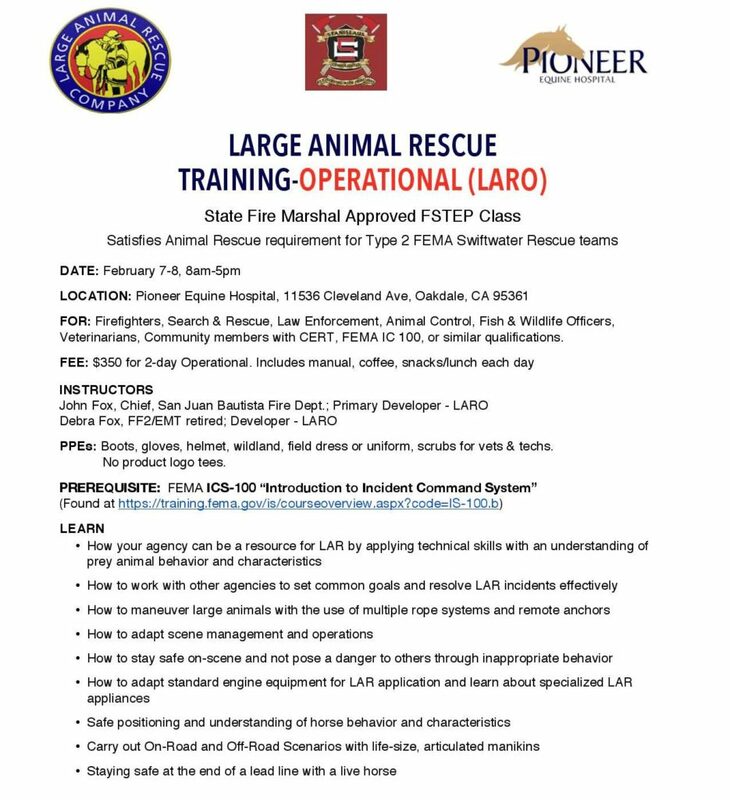 **NOTE** If you are NOT a professional First Responder and are interested in this LAR Awareness Training AND/OR forming a Formal Central Valley LAR Team, please contact us immediately in order to schedule your training for 2017 (spots are almost taken for 2017) click here! Contact Us.